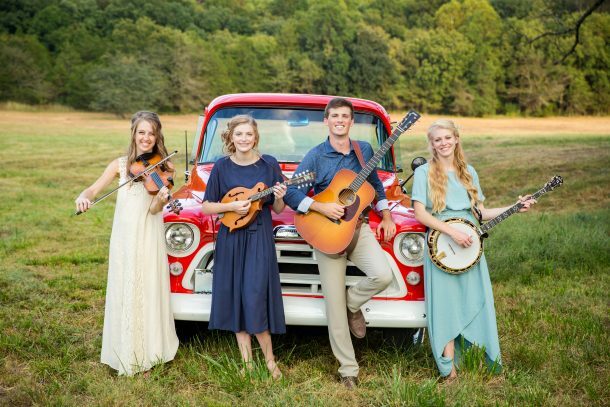 A coffee mug every bluegrass fan will enjoy! 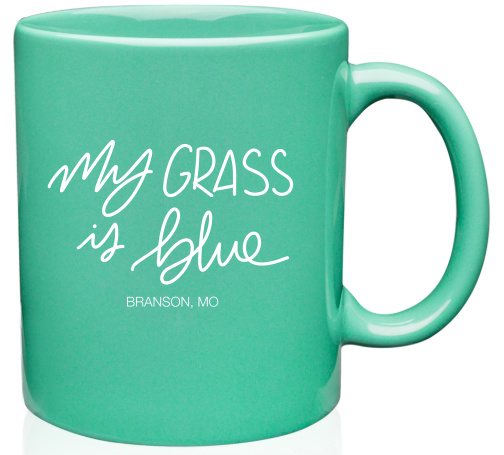 These coffee mugs say “My grass is blue, Branson, MO” and have The Petersens logo on them. The cups are dishwasher safe. I looooove this color and design!! 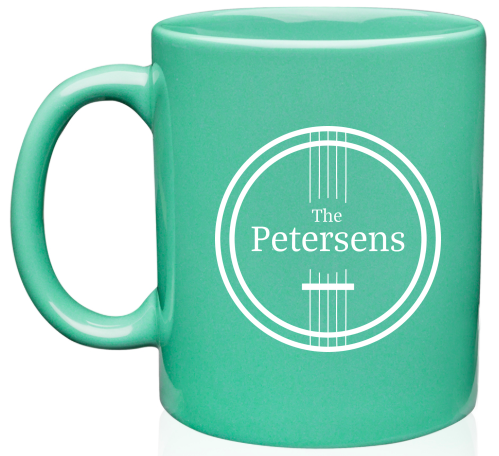 It even makes my coffee taste better!